TV journalist Richard Madeley wants all interviewers to adopt a “three strikes and you’re out” rule to improve the quality of political debate. Madeley abruptly ended a live interview with Defence Secretary Gavin Williamson on Tuesday after the cabinet politician dodged his questions. 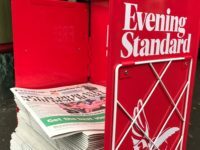 Writing in the Guardian, Madeley said he had received an “overwhelmingly positive” response in the news media, on social media and on the street since his decision to cut off Williamson on Good Morning Britain. Williamson appeared on the ITV show via satellite from a safari park to announce that British Army personnel were travelling to Malawi to protect elephants and rhinos from poachers. Madeley took the opportunity to ask the MP if he regretted telling Russia to “shut up and go away” after the Salisbury nerve agent attack in which Sergei Skripal and his daughter Yulia were found unconscious. However, Williamson began answering the question by paying tribute to the health personnel who treated the Skripals, who have since left hospital. When Williamson began explaining the UK’s response to the “atrocious attack”, Madeley cut him off a second time and gave the Defence Secretary a final chance. Madeley has hosted live network news and discussion programmes for 30 years but said he had never pulled the plug on an interview before, blaming the current quality of political discourse. He said: “It tells you how bad things have got; how well drilled today’s politicians have become at evasion, obfuscation and manipulation during interviews. Madeley said he thought the interview was the most popular thing he had ever done on TV, adding: “So I’ve got a new rule when conducting interviews with politicians who won’t answer the question. Three strikes, and you’re out.